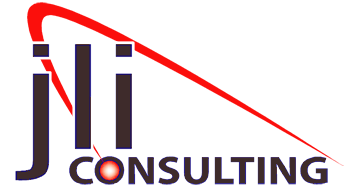 JLI Consulting was founded in 1995, and has steadily grown in both services offered and technological understanding since then. Our corporate philosophy includes helping our clients to understand changes in the technological environment and how those changes can be used to increase corporate identity, sales and information presentation. We are proud of our accumulated knowledge and expertise, and look forward to sharing that expertise with each of our clients. Our customized Content Management Systems allow clients to manage the content presented on their sites. Customers have used this to list classes for a yoga studio, boats for a boat dealer, and parts for a manufacturer. Restaurants have used these to update their menus and special events. And our e-commerce experience makes it easy to set up and maintain a shopping presence where the content can be ever changing and the client has the ability to add and modify items at will. The ability to manage content has allowed clients to modify their site as often as they want and from where they want (since it's web based), but we are always available if needed. We also have the ability to create custom programming, interfacing with databases to present information in a unique and timely way. Call us to discuss your needs - you won't believe how easy it can be!